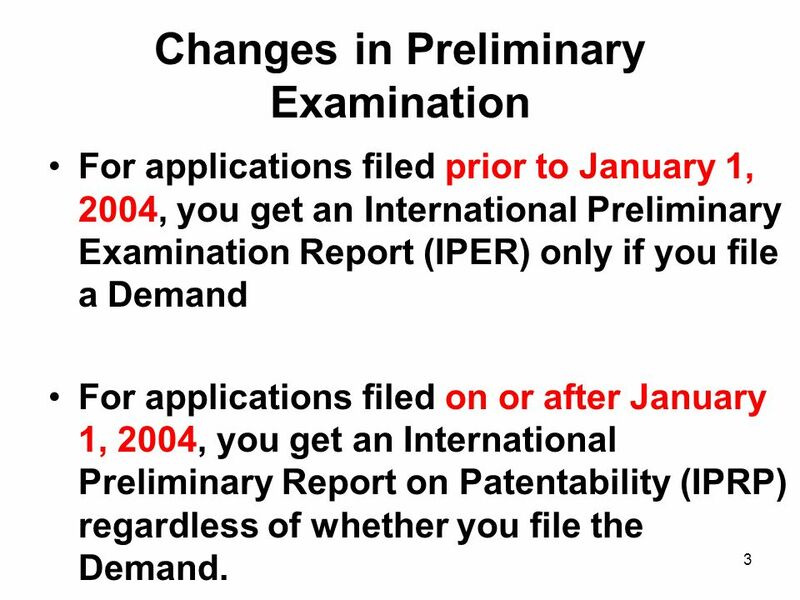 3 3 Changes in Preliminary Examination For applications filed prior to January 1, 2004, you get an International Preliminary Examination Report (IPER) only if you file a Demand For applications filed on or after January 1, 2004, you get an International Preliminary Report on Patentability (IPRP) regardless of whether you file the Demand. 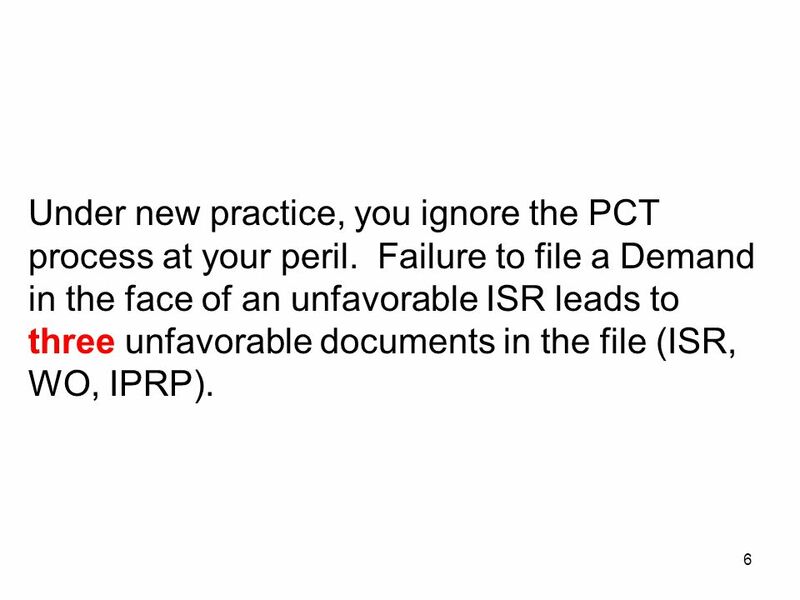 6 6 Under new practice, you ignore the PCT process at your peril. 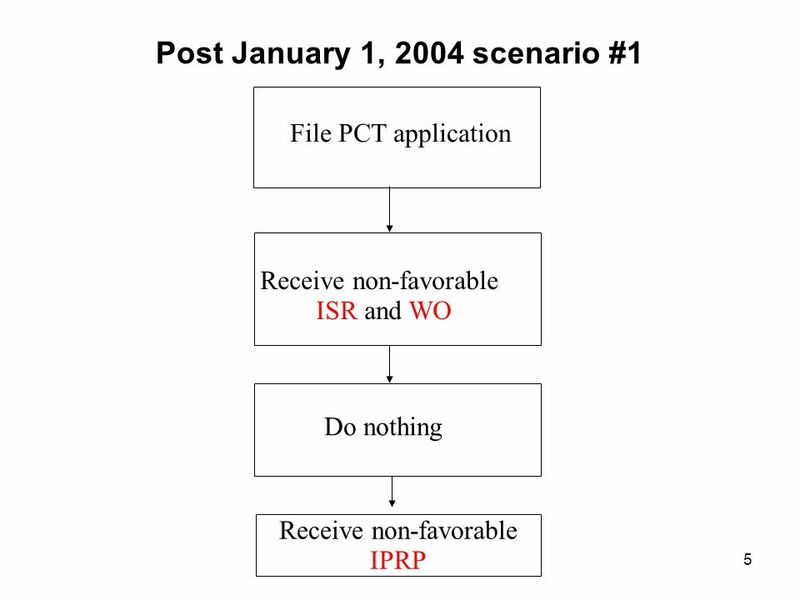 Failure to file a Demand in the face of an unfavorable ISR leads to three unfavorable documents in the file (ISR, WO, IPRP). 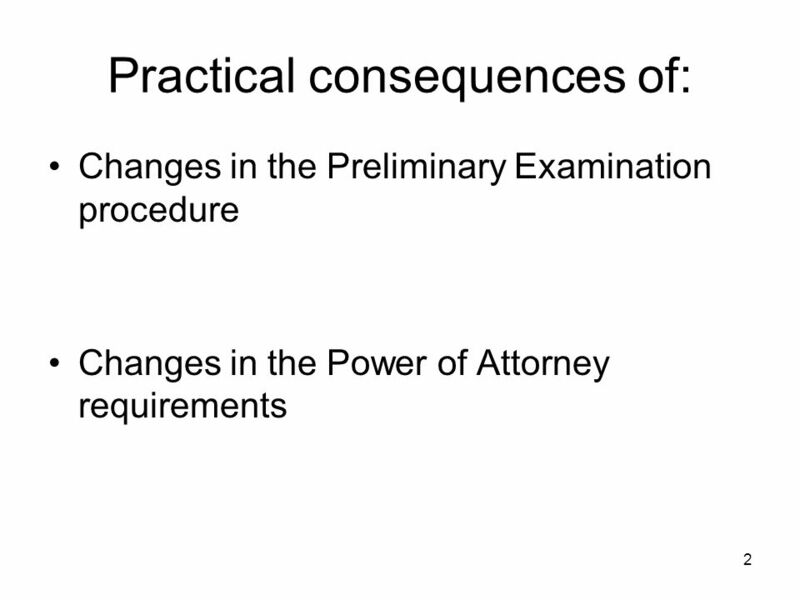 8 8 Amending claims under Article 19 will lead to publication of amended claims, which matters for pre-grant damages. 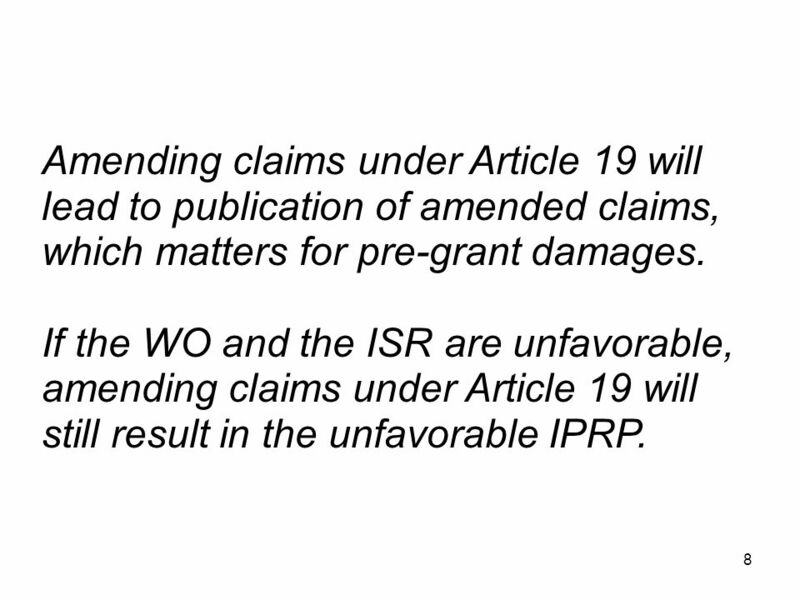 If the WO and the ISR are unfavorable, amending claims under Article 19 will still result in the unfavorable IPRP. 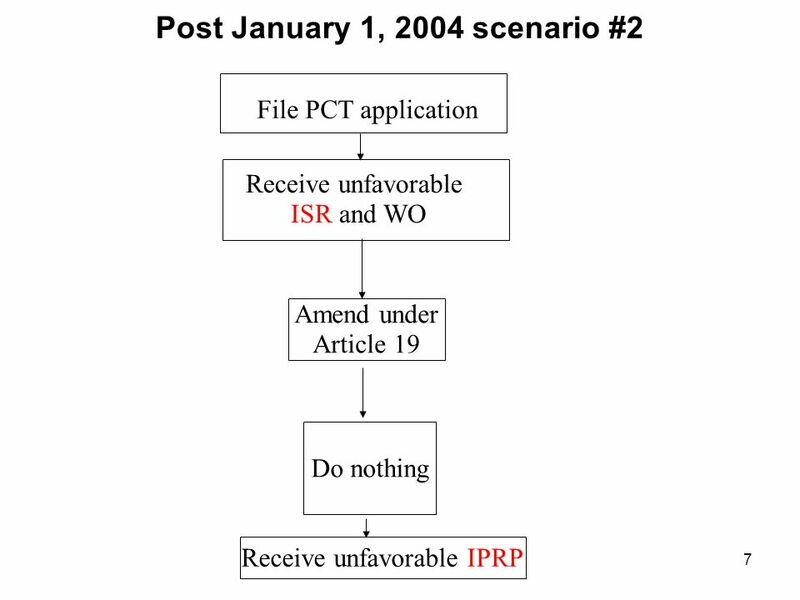 10 10 Content of IPRP If you file a Demand, the IPRP is prepared by the International Preliminary Examining Authority. It takes your arguments (Art. 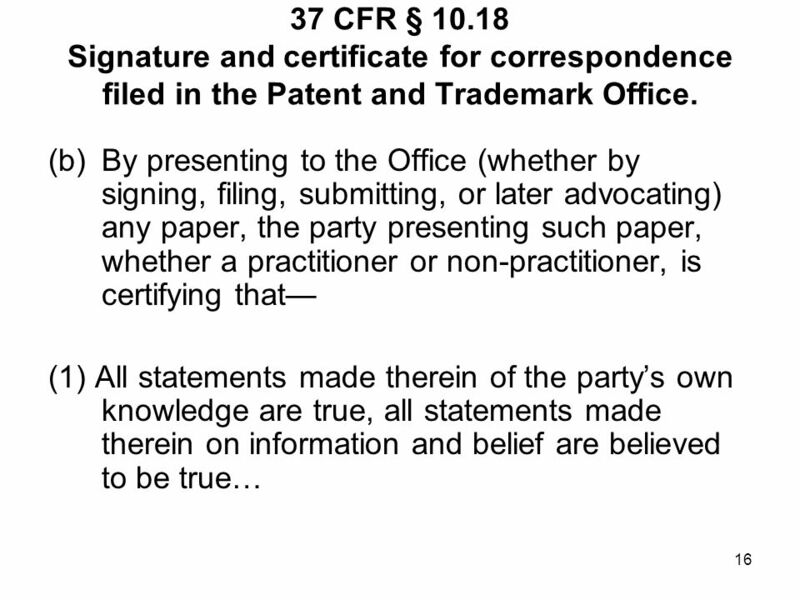 34) and claim amendments (Art. 19 and Art. 34) into account. 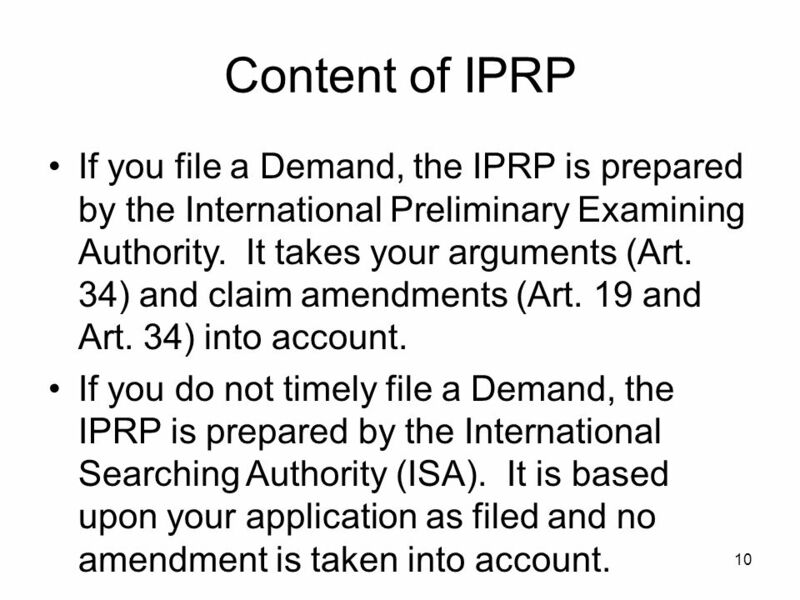 If you do not timely file a Demand, the IPRP is prepared by the International Searching Authority (ISA). 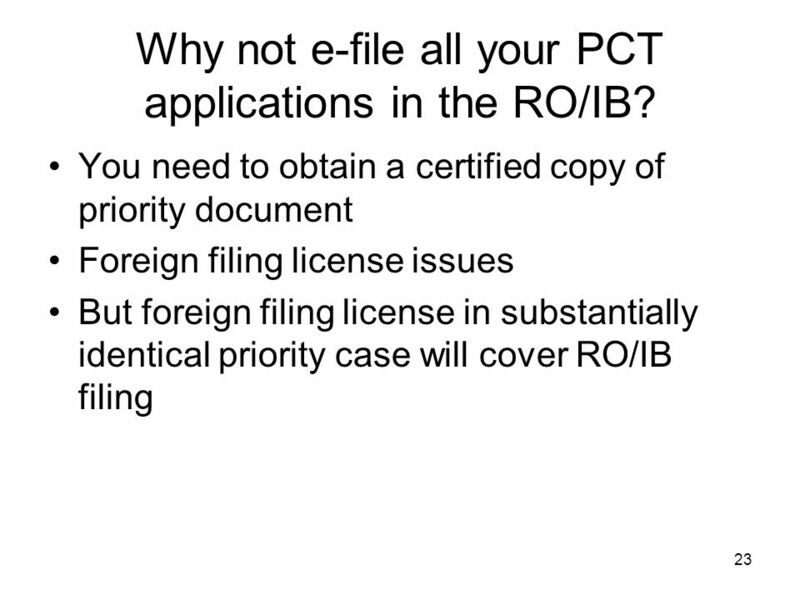 It is based upon your application as filed and no amendment is taken into account. 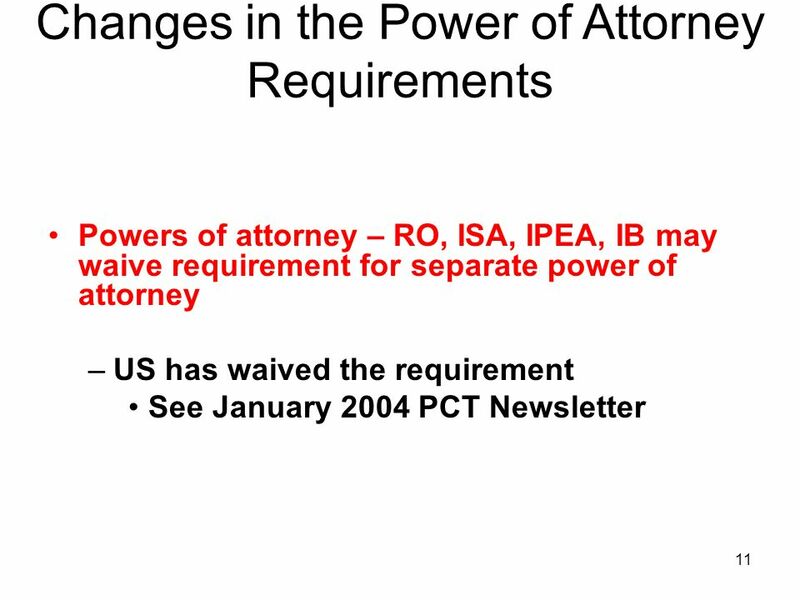 13 13 What is a POA? 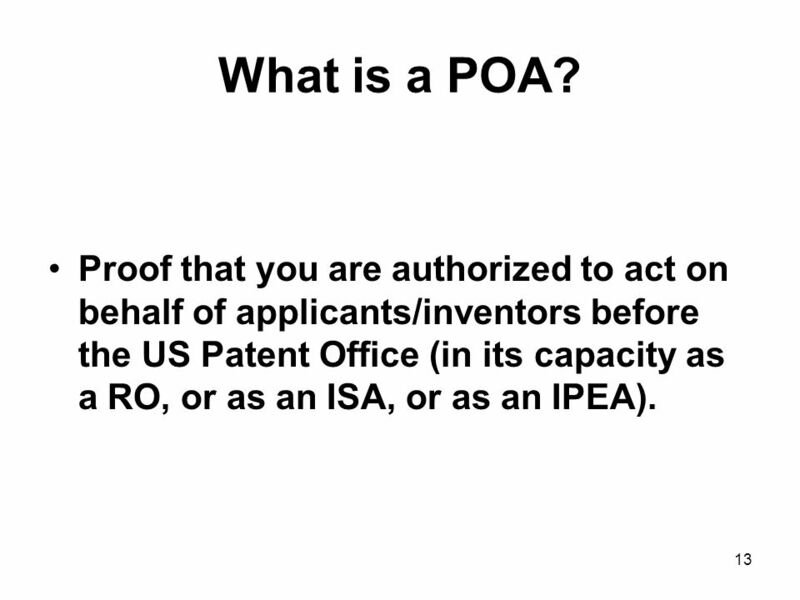 Proof that you are authorized to act on behalf of applicants/inventors before the US Patent Office (in its capacity as a RO, or as an ISA, or as an IPEA). 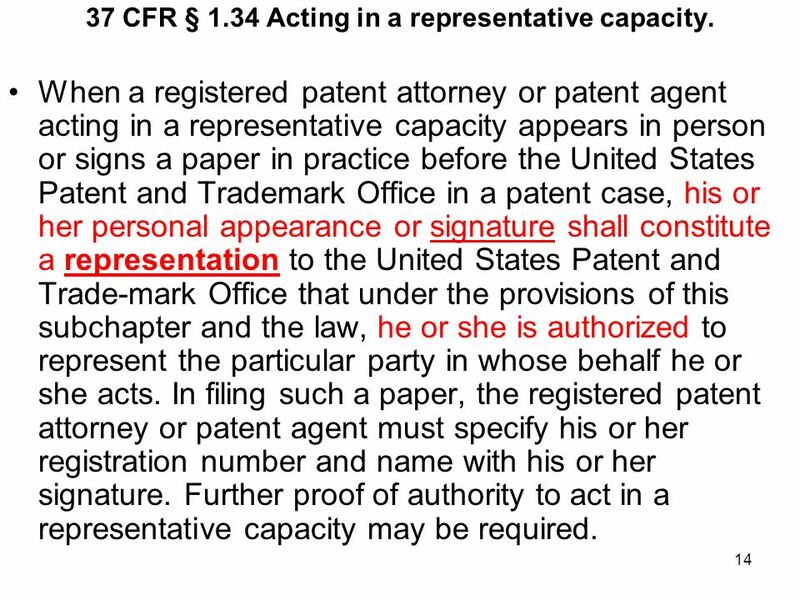 14 14 37 CFR § 1.34 Acting in a representative capacity. 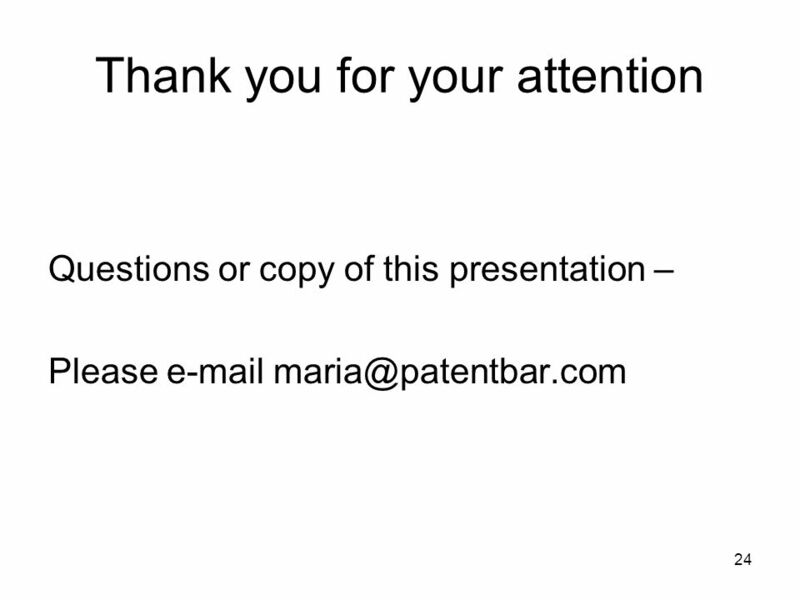 When a registered patent attorney or patent agent acting in a representative capacity appears in person or signs a paper in practice before the United States Patent and Trademark Office in a patent case, his or her personal appearance or signature shall constitute a representation to the United States Patent and Trade-mark Office that under the provisions of this subchapter and the law, he or she is authorized to represent the particular party in whose behalf he or she acts. 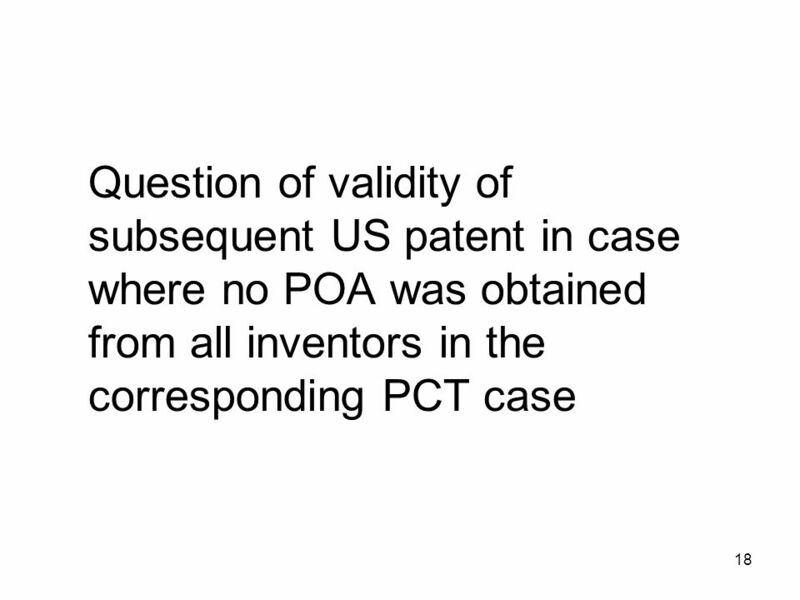 In filing such a paper, the registered patent attorney or patent agent must specify his or her registration number and name with his or her signature. Further proof of authority to act in a representative capacity may be required. 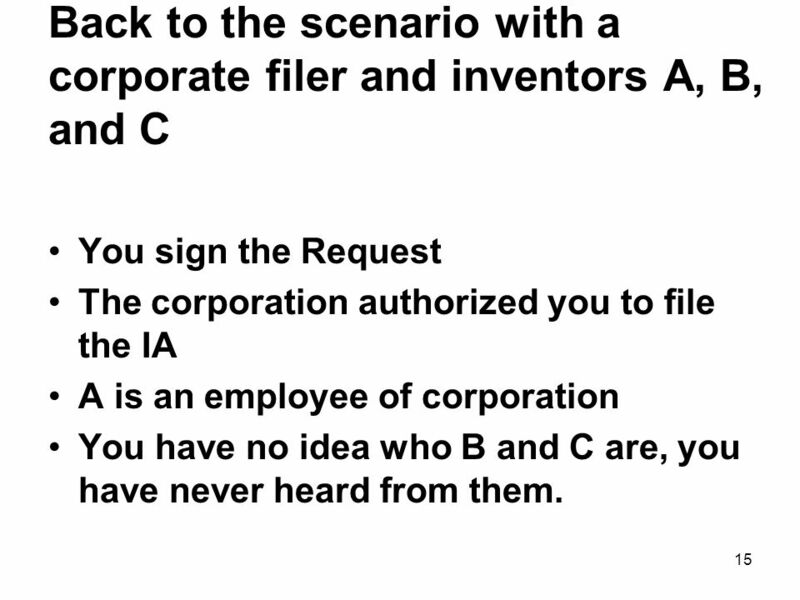 15 15 Back to the scenario with a corporate filer and inventors A, B, and C You sign the Request The corporation authorized you to file the IA A is an employee of corporation You have no idea who B and C are, you have never heard from them. 19 19 35 U.S.C. 111 Application. (a) IN GENERAL. 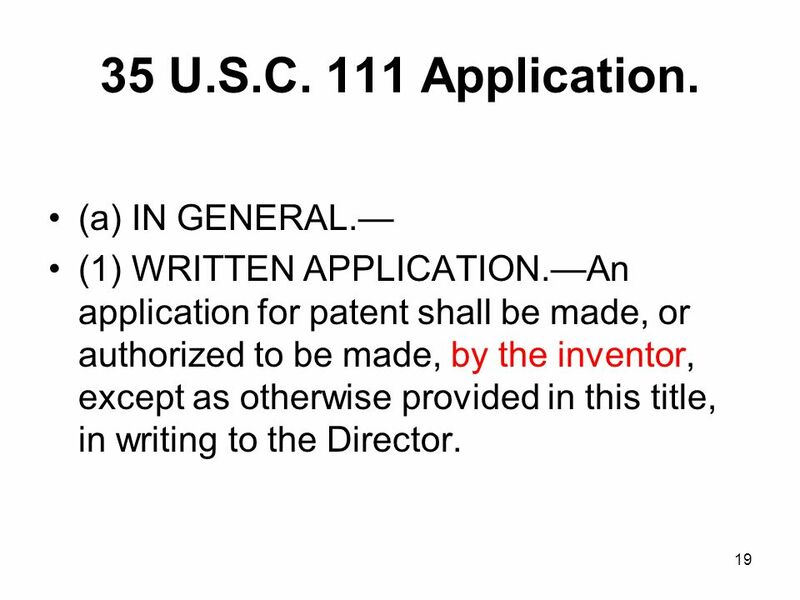 (1) WRITTEN APPLICATION.An application for patent shall be made, or authorized to be made, by the inventor, except as otherwise provided in this title, in writing to the Director. 20 20 35 U.S.C. 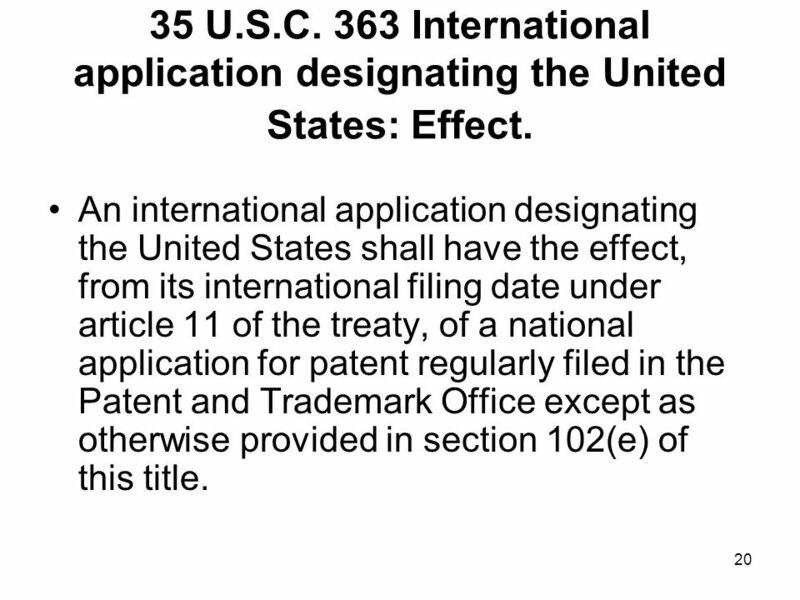 363 International application designating the United States: Effect. 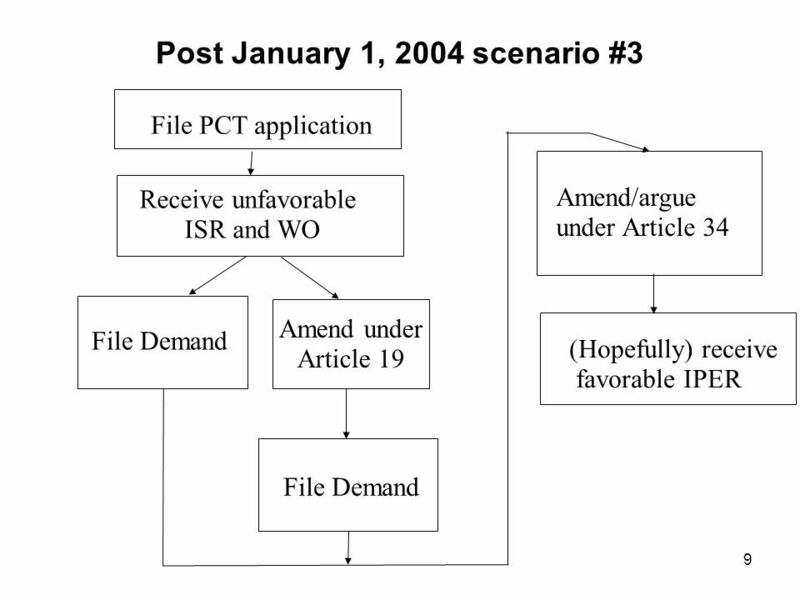 An international application designating the United States shall have the effect, from its international filing date under article 11 of the treaty, of a national application for patent regularly filed in the Patent and Trademark Office except as otherwise provided in section 102(e) of this title. 21 21 35 U.S.C. 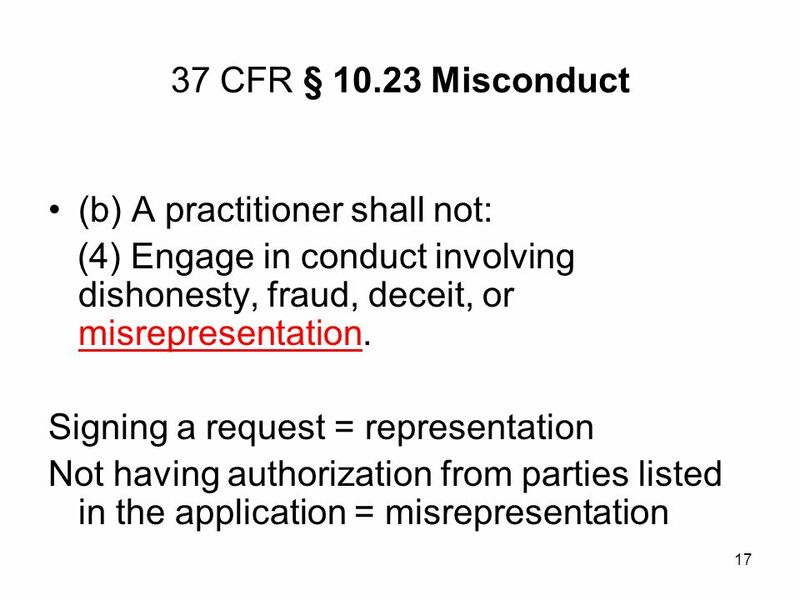 373 Improper applicant. 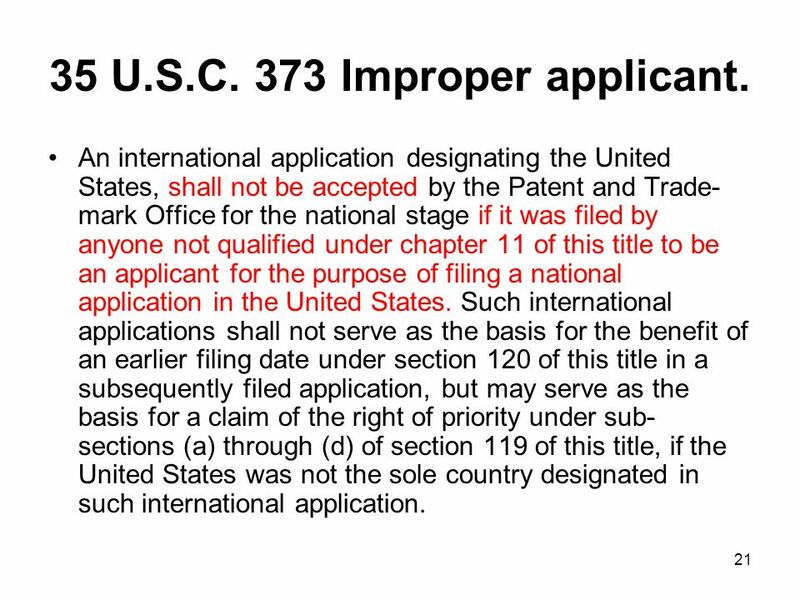 An international application designating the United States, shall not be accepted by the Patent and Trade- mark Office for the national stage if it was filed by anyone not qualified under chapter 11 of this title to be an applicant for the purpose of filing a national application in the United States. 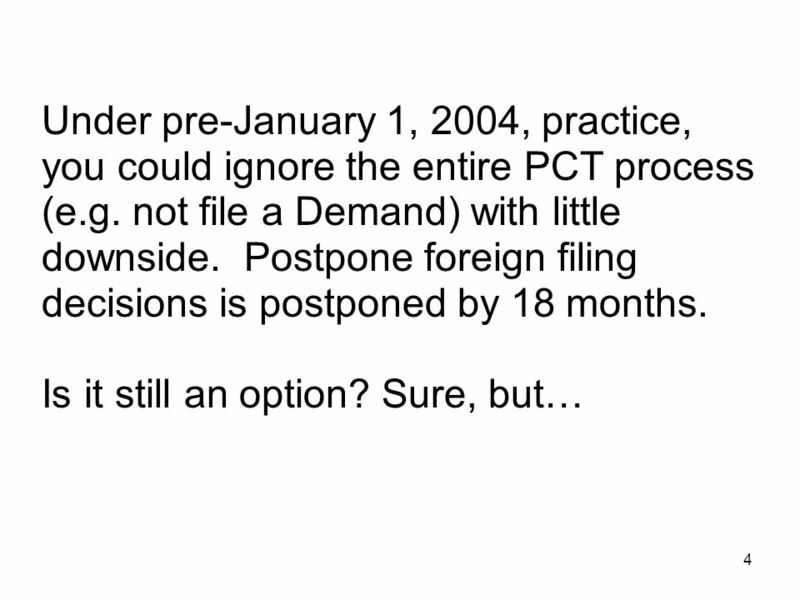 Such international applications shall not serve as the basis for the benefit of an earlier filing date under section 120 of this title in a subsequently filed application, but may serve as the basis for a claim of the right of priority under sub- sections (a) through (d) of section 119 of this title, if the United States was not the sole country designated in such international application. 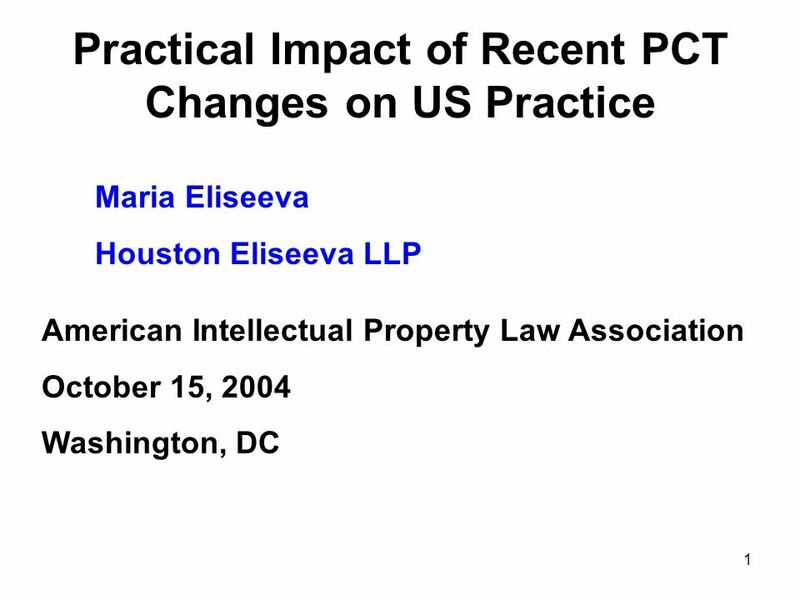 Download ppt "1 Practical Impact of Recent PCT Changes on US Practice Maria Eliseeva Houston Eliseeva LLP American Intellectual Property Law Association October 15,"
WIPO Recentdv03-1 Changes to the PCT Regulations which came into effect on 1 January 2004. 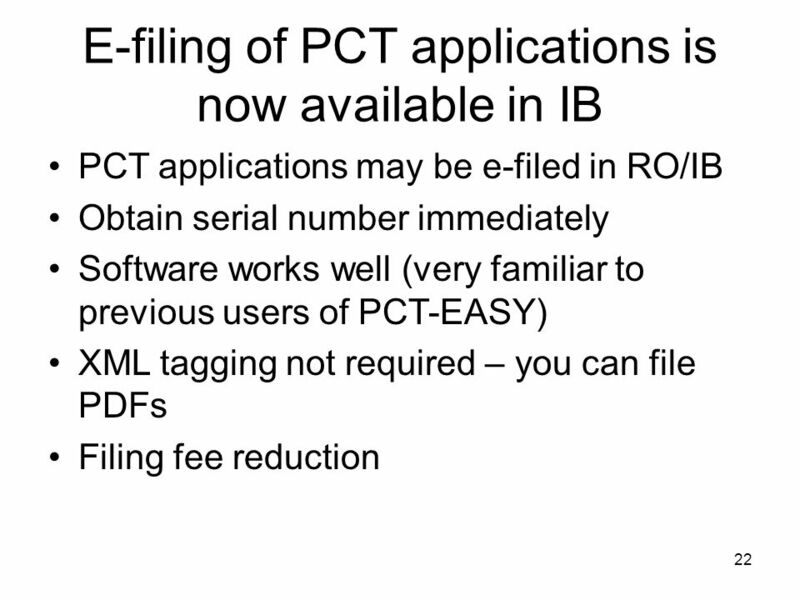 Amendments to the PCT Regulations as from 1 January 2009 New publication languages Supplementary international search. 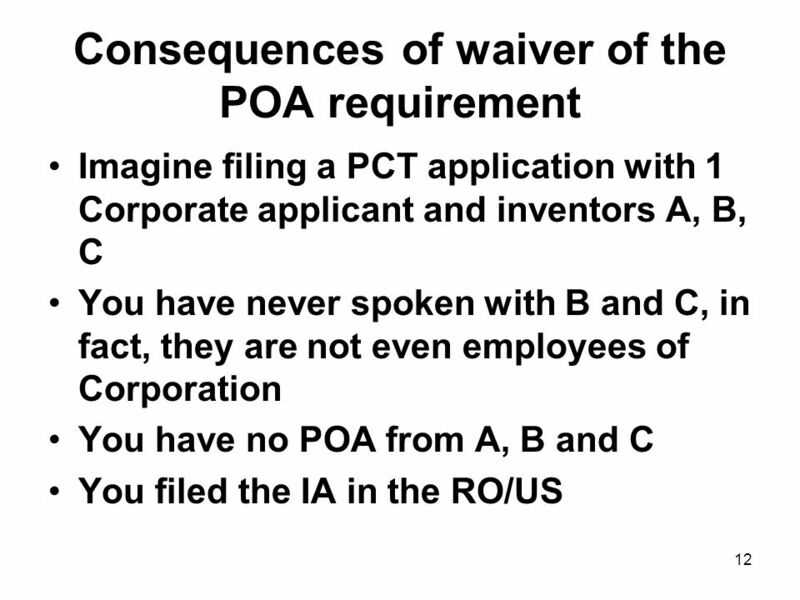 Copyright © 2010 IPOS All Rights Reserved How can small and medium sized IP offices search and examine patent applications efficiently and effectively? We will resume in: 25 Minutes.